SUNDAY, SEPTEMBER 10, 2017 - 4 P.M.
Paul S. Piper visits Helena to read from his latest book of poetry, and Light. He may read a few other poems or passages from other published works. Paul S. Piper's new book presents poetry in a number of styles written over the past three years. This book is beautifully illustrated with watercolors by Paul's sister, Penny. Paul is the author of several books of poetry including: White, Movement Apparent Song, Now & Then, Winter Apples, and Dogs And Other Poems. He has one book of fiction: South Fork and Other Stories. He also recently coedited the book: A Flutter of Birds Passing Through Heaven--A Tribute to Robert Sund. Born in Chicago, Paul lives in Bellingham, Washington. Paul will be joined by special guest writers, poets and performers. Paul S. Piper's ﻿Amazon.com page﻿. 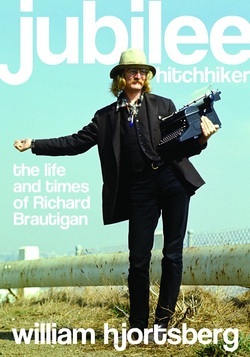 William Hjortsberg visits Helena to read from his latest book, Jubilee Hitchhiker: The Life and Times of Richard Brautigan. William "Gatz" Hjortsberg (born 1941, New York, New York) is a novelist and screenwriter best known for writing the screenplays of the movies Legend and Angel Heart. His novel Falling Angel was the basis for the film Angel Heart (1987) (released in French-speaking Canada under the title Aux portes de l'enfer).